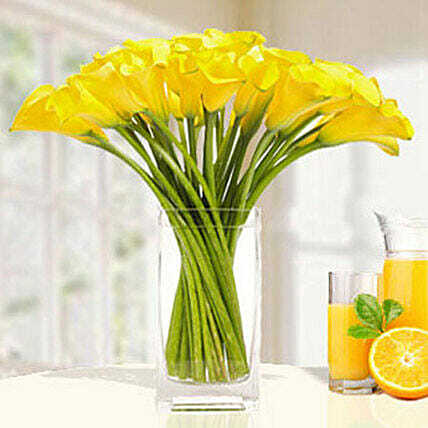 Joyful yellow calla lilies arrangement in a glass vase is really a pleasure to eyes and mind. For the chirpiest person you know, this would be the perfect gift. Also to jazz up the temperament of your home, an addition of this floral arrangement would be praiseworthy. So keep adding colours of happiness to your life through us.